Here's a look that I created on Polyvore, it's very easy to put together. Neutrals are always easy to mix and match. hope you like it! Aquí les dejo un look que hice en Polyvore, es bastante sencillo de armar. Los colores neutrales son siempre fáciles de combinar. Espero que les guste! Hola Giovanna!! siiii, un trench coat es para siempre. Yo tengo el mio de Burberry y lo llevo casi todos lados en primavera y los días "fríos" del verano. Darling Giovanna! I love trench coats too! I just ordered the cutest little leather coat with ruffles after your post about the little leather jackets...I can't wait to share. My sweet 68 year old dad is getting one for me and my sis for Christmas, he is so adorable to us!! You read my mind! It is pouring rain here in New York today and I was just thinking I could use a new trench coat! I LOVE trech coats. I have three! They are so comfortable and chic. With the right accessories, it's really modern too. Have a nice week, Gi! yup...the must have for winter!!! Great post darling!!! El trench coat es un básico infaltable!!! Yo también amo los bolsos de tela!!! Adoro hacer mis propios diseños! 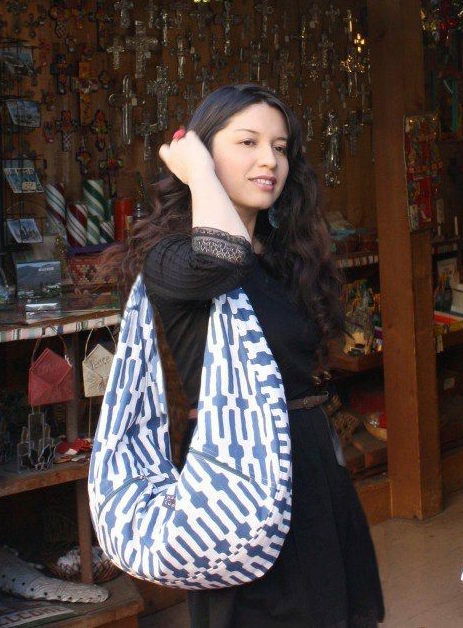 That Modcloth tote is precious. And what I wouldn't do for a Burberry trench. Sigh. hi giovanna, thanks for your sweet comment. and oooh, trench coat. loooove! i love bright colored trench, it makes you stand out. and the one from lagarconne is so fab. wanna have one!!! Hola nena! me encantan los trench coat, acabo de comprar uno azul marino Burberry, que es mi fasinación, te sigo... gracias por pasarte por mi blog, besitos! Gi, tu falas português? hahaha! agreed I love trenches but I love the new army style twist everyone is putting on them! Lo del trench coat, me parece una idea genial para estar bien vestidas siempre, me quedo con el que usa la peliroja megro, con ese cinturón dorado. lindo. how absolutely great are trench coats. i have a plain black one from TARGET of all places, and it's FABULOUS! 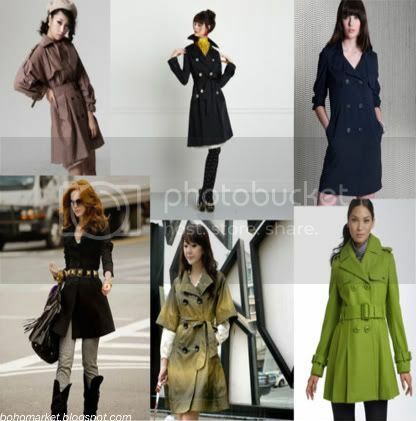 I loove trench coats! With knee high or ankle boots, leggings, pencil skirts, flirty dresses! A trench coat looks lovely with just about anything! Thank you for stopping by GirlWhimsy. I didn't forget that request I made of you - to use your divine illustrations for a post on my blog. Soon, okay. Have a whimsical evening! But I can NEVER wear them here in Singapore. It is summer all year round. Yes, I'm happy to swap blog rolls with you, consider it done! i absolutely LOVE the look you put together..love the little booties and fabric tote! your style is so fabulous!!! aaaaah...the trench coats! love them...i was able to wear my vintage leather one tonight with a little faux fur around the collar...so cute!!!! completely gorgeous i love the polyvore outfit, so cute!! it has to be like.. hmm perfect coat for a perfect december. yeayy! love this. I love all these trenches! me encanta el trench! casualmente llevo uno en mi última entrada!! All of these coats are lovely! and i love your headerr! gorgeous blog girl! Thank you girls!! I heart all your comments! For Shoeless Simone, (always) alanna, and moda capital, thanks for visiting and for the lovely comments, I know you girls are new readers, and I'm glad you like my blog :) Hope you come back soon! Okay, my new favorite fashion piece in the whole world (besides shoes, I mean) is the Trench coat. I am falling, falling, falling in love with them more and more even as I am writing this comment. This is a great post. I especially love the one from Lagarconne.com. It's fabulous with that high collar and swing shape. Yo tengo un trench plomo y me encanta!!! creo que sirve para darle un toque especial a cualquier look!!! Siempre, siempre hay que tener uno o varios trench, y si puede ser el clásico y en marino. Aunque yo los tendría de todos los colores. Te salvan muchos looks. El verde que has puesto en las fotos me parece genial. I absolutely adore the green trench-coat. I've had this fascination about trenchcoats right since when I was a little girl. Even though a lot of people tell me that they're not fashionable any more, I can't help but think that they're wrong. Great post and amazing pics!!! If only we could look like that!